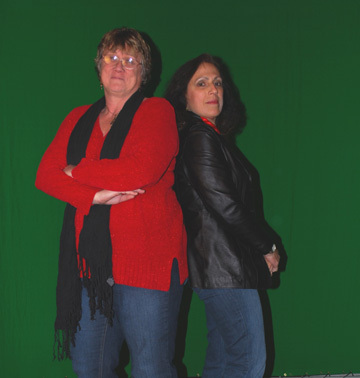 Barb and I were in the studio this week doing some interviews and having some publicity photos taken in front of a green screen for the upcoming show on haunted places in the Hudson Valley. There should be an official announcement by the end of the year. I was recently contacted by Clint Braadt, who is doing a video project on the paranormal at Orange Ulster Boces. He asked to interview me at the Peach Grove Inn, in Warwick, NY. I love that place and was happy to help. 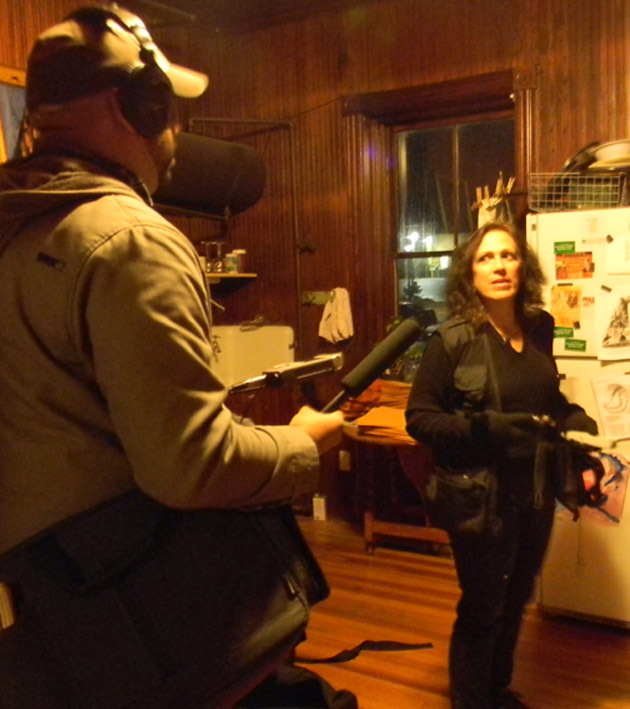 I expected to just answer a few questions and talk about what happened on my investigation there 10 years ago (story in Ghost Investigator Vol 1), but I got some wild EMF readings and we heard all kinds of sounds! When his project is complete I will post the link. 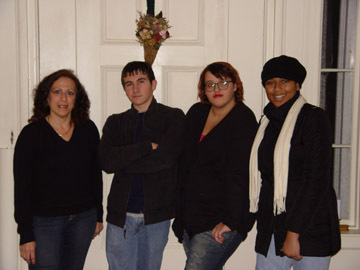 Pictured: Me, Clint, Taylor Kaster, and Maya Bolden. This week I filmed a segment for an online show about haunted sites in the Hudson Valley that will debut in mid-January. The talented psychic Barbara Bleitzhofer joined me at the Pachett House in Montgomery, and took this picture just as the investigation began. Stay tuned for more details!